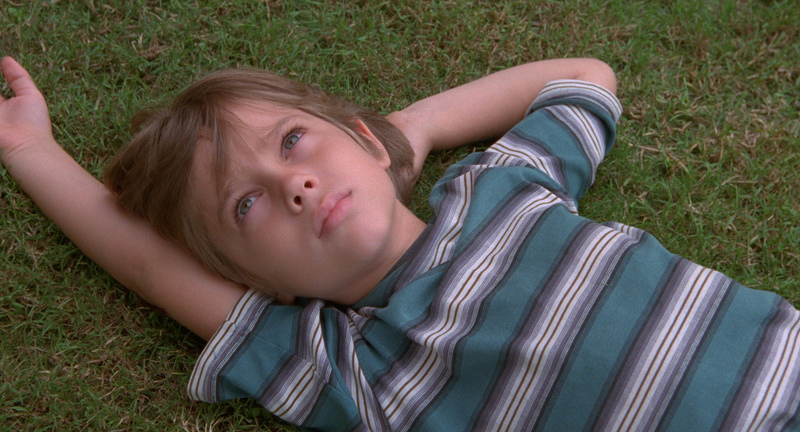 “Boyhood” (Netflix) — My full review is here. Richard Linklater’s wonderful cinematic experiment was shot over a 12-year period, charting a boy’s growth into adulthood and his parents’ growth from crazy kids in love to sadder, wiser middle-aged adults. Linklater uses time as his canvas, focusing on the little moments between the so-called big ones, to show how we change over the years without even realizing it’s happening to us. “The Lobster” (Amazon Prime) — My full review is here. Greek writer-director Yorges Lathimos’ first English-language film has a premise that might seem like an SNL skit, in which single people are forced by a dystopian society to gather at a hotel for bizarre speed-dating rituals, and if they don’t find a soulmate, they get turned into an animal. But the film is both ridiculous and deadly serious in using its surreal premise to examine modern love, and what people will give up of themselves to get it. The free, 15-film festival runs Thursday through Sunday at the Union South Marquee Theatre, 1308 W. Dayton St. Once scheduled in the fall, the festival has moved to the spring this year, and offers another terrific collection of new films, including many Madison premieres, that show the wide range of LGBT filmmaking out there. Whether you like broad comedies, tender dramas or hot-button documentaries, they’re represented at this festival. “Boy Meets Girl” (9:30 p.m. Thursday) — Ricky is probably like a lot of girls living in small-town Kentucky, dreaming of heading to New York and pursuing her career as a fashion designer, and maybe hoping to find Mr. Right along the way. Well, there’s one thing different about Ricky; she’s transgender. Writer-director Eric Schaeffer’s sparkling comedy presents Ricky’s identity as a simple fact of life, no different than her best friend Robby’s masculinity. If we’re expecting to see a film about how a small Southern town rejects a transgender person in their midst, instead this is a warm film where everyone accepts Ricky as she is. And, by extension, so should we. Much of this has to do with the witty writing of Schaeffer, an indie-film veteran (“If Lucy Fell”) who at times in his career has strained too much to be overtly cutesy. Here, his tone works, combined with a terrific performance by Michelle Hendley as Ricky. With her sly drawl and sure sense of self, Ricky is an instantly appealing character. The plot follows Ricky’s dalliance with a local Southern belle, Francesca (Alexandra Turshen), yearning to experiment a little before marrying her straight-laced boyfriend, who is serving in Afghanistan. Schaeffer keeps the film bouncy and bright, shifting from humorously frank discussions about sexuality between Ricky and Robby to more tender scenes between Ricky and Francesca. At times, “Boy Meets Girl” seems like it’s trying to hard to educate the audience about the transgender community. But then, given the rare nature of the film, maybe it has to. The deeper value to the film is simply showing us a transgender person who has the same hopes, dreams and fears as everybody else. 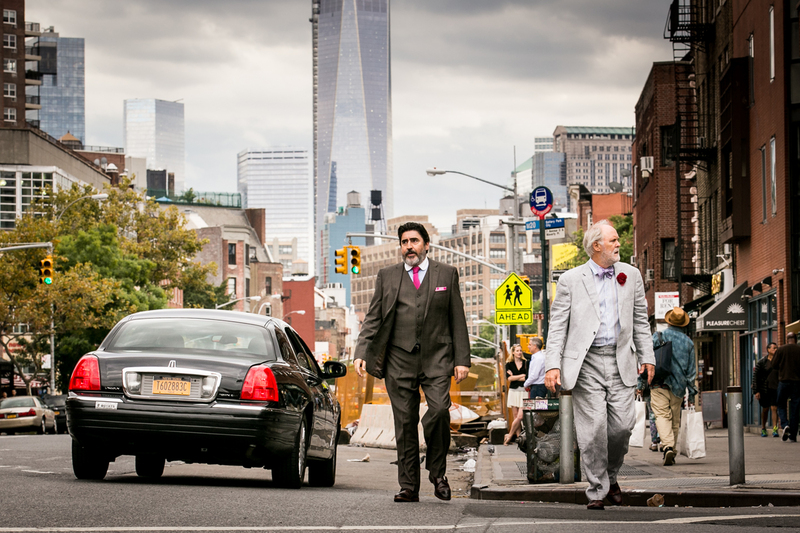 “Love is Strange” (7 p.m. Thursday) — My full review is here. In Ira Sachs’ drama, the arrival of gay marriage isn’t the salvation for a longtime couple (Alfred Molina and John Lithgow). In many ways, it’s the start of their problems, as Molina’s character gets fired by the Catholic school he works as a music teacher at, forcing the couple to give up their expensive Manhattan apartment and move in with friends. Sachs’ poignant drama shows how easily the gears of life can turn against us when we least expect it, and the support network of friends and family that we take for granted can suddenly become so essential. The performances by Lithgow and Molina are wonderful, and Sachs includes some wonderful moments of visual poetry, including a final shot that might make your heart burst. “Love is Strange” is now playing at Sundance Cinemas. R, 1:38, three and a half stars out of four. Ira Sachs’ “Love is Strange” begins with a shot of hairy legs, intertwined in a bed. They belong to a longtime gay couple, Ben (John Lithgow) and George (Alfred Molina), who sleep together in a bed that’s much too small for them. It’s a shot of casual, taken-for-granted domestic bliss. In public, the couple are more discreet, walking a few feet apart on the street. The world may be changing, with gay marriage now legal in their native New York City, but they’ve lived long enough to know it doesn’t change that fast.